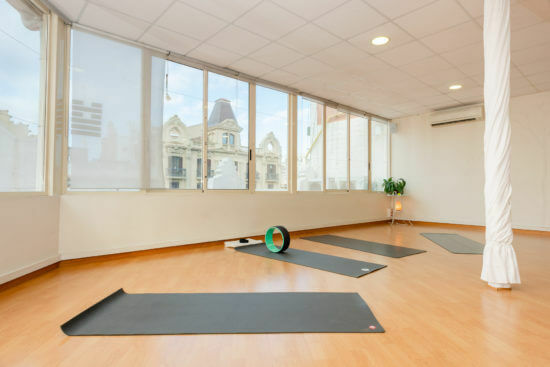 Myoga Studio, Your Yoga Studio and lifestyle center in the heart of Barcelona! Find your balance with our classes based on awaking body, mind and spirit with a range of yoga classes such as Vinyasa Yoga, Wheel Yoga, Yin Yoga, Yogalates, Hot Yoga, meditation classes, and much more, in spanish and english. We believe in community! Myoga Studio has been designed to give you an all-inclusive experience, for every level and every-Body. We will unwind, disconnect and practice as we are, in a friendly and welcoming environment. Myogastudio is also a place where you will find workshops and events to share and learn more about the thematic of Yoga. The space is at disposal for group and individual booking. Discover our beautiful attic view studio and community-oriented vibe! Take yoga beyond asana and discover how yoga can improve our lifestyle. Our classes are based on awaking body, mind and spirit with a range of yoga classes such a Vinyasa, Ashtanga Yoga, Wheel Yoga, Yogalates, Yin Yoga as well as meditation and educative classes & workshops ! In spanish and english. Myoga Studio has been designed to give you an all-inclusive quality experience. We will unwind, disconnect and practice as we are, in a welcoming environment. The community is at heart of our values. Our mission is to offer you a welcoming and friendly environment as well as qualitative yoga classes & events. Classes are a moment for yourself, to receive, give back and share with like-minded students at the studio. On a larger level, Myoga supports local communities and non-profit organizations by hosting once a week donation class. The studio is at disposal for your own event or group booking during the week outside daily classes and over the weekend according to our schedule availability. We know the comfort of the place will fit all your needs and requirements. Contact us know for more information ! One breath at the time with our gentle and flowy Vinyasa yoga class. This style is suitable for all practitioners to increase flexibility and strength. It is an excellent work for the body and the mind. This class combines yoga and meditation to create a deeply nurturing experience and an opportunity for you to pause and reflect within your day. 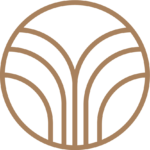 Book your Class through MindBody APP or sign up at the Studio, make sure to come 15 minutes before the start of the class. Try not to eat for about 2 hours before the class. Bring a water bottle and light clothes with you. Listen to your body, follow your breath and take a child pose any time you need! Feel free to ask your teachers anything you want. Yoga mats and props, hand towels, changing room, 2 bathrooms, community area, a beautiful attic terrace to relax, teas, snacks & much more! Inform your instructor if you have any pre-existing medical conditions that might affect your practice. Join our mailing list to stay up to date on our daily classes, special events and offers! Por favor acepta la Politica de privacidad para comenzar una conversación.